Poundland founder turned serial investor Steve Smith has revealed he once spurned an approach from Dragons&apos; Den. The Willenhall entrepreneur, who established Poundland with just £50,000 borrowed from his father, said he opted against appearing on the popular BBC2 show when he was contacted after selling the retail giant in 2002. But Mr Smith remains an ardent investor in business, with Birmingham firm Spearhead Compliance Training the latest of more than 20 he has put money into. He said: "When I sold Poundland and Dragons&apos; Den started, they did approach me. "It was the wrong time - we had just sold the business and I spoke to my wife and we didn&apos;t want the publicity." 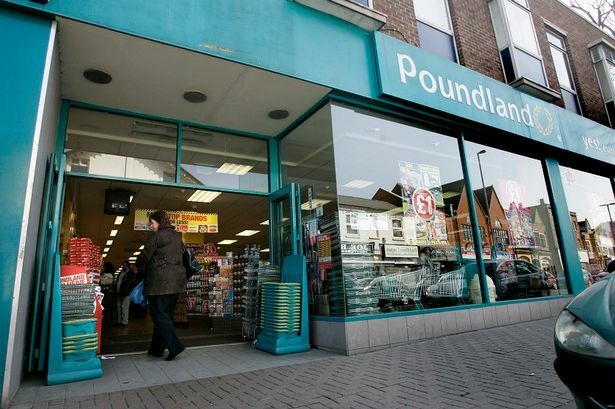 Mr Smith, who sold Poundland for £50 million, has become a serial investor since selling up. He is now invested in about 22 businesses, including Midland online estate agent Estates Direct. Now, he is working with NatWest on its Entrepreneurial Spark business accelerator, which offers fledgling businesses a chance to succeed with free mentoring, workspace and support. He added: "The hardest thing with Dragons&apos; Den is most of the time they seem to say no. "There are some good ideas but maybe they aren&apos;t ready for investment. "NatWest and Entrepreneurial Spark work with them and as a result there would be a bigger success rate. They get people ready for investment." Mr Smith&apos;s investment is a major boost to growing business Spearhead, established by John Loveday and Paul Hood. Spearhead, which is based at St Philip&apos;s Place, has more than 125 trainers nationwide and recently secured a deal with retailer The Range. The Poundland chain started with a small stall on Bilston market in the West Midlands before Mr Smith opened his first store in West Bromwich when he was just 18. Mr Smith said the assistance of his father was vital to its success and it was in this spirit that he offered support to small firms. He said: "If it wasn&apos;t for my dad helping me, Poundland would not exist today. "With Entrepreneurial Spark, everyone has got that kind of help. It is not just about money, it is the whole support package for businesses." He added: "I am involved in everything from manufacturing windows to recruitment, training, property. "The job is a bit like Dragons&apos; Den in that there are so many businesses and it is about putting them in touch with the right networks. "I can pick up the phone and say &apos;you should meet these guys&apos; and it can get them through the door." Entrepreneurial Spark, which is funded by private capital, contributions from public sector organisations and corporate sponsorship, is helping dozens of fledgling businesspeople in the region. The NatWest scheme offers free workspace, hands-on mentoring, a start up &apos;bootcamp&apos; and a free programme of up to 18 months of advice, support and funding clinics. Meanwhile, Mr Smith predicted further growth for Poundland after a takeover of rival 99p Stores was given the green light. He said his initial target was to turn over £10 million, then £100 million, then £1 billion - now he believes the sky is the limit for the budget retailer. He said: "The industry at the moment is worth about £5 billion. Now, they are planning to open 400 in Spain and I don&apos;t see any reason why not in Germany or France. "In the UK, they have 821, and after the 99p Stores at least 1,500, and there must be another 1,000 in these countries. For me, the next forecast is probably £10 billion."